Ha Giang - the first national land sites not only famous for its triangular flower circuit, the Lung Cu flagpole where the northernmost point which is also known for the steep cliff, the top of the pass where Ma Pi Leng myth is a among them. 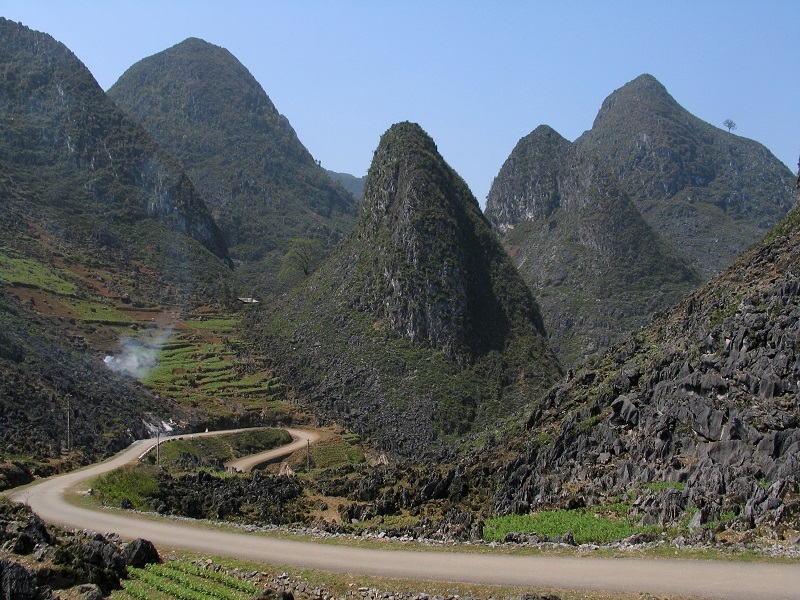 Ma Pi Leng, the name is not new, is the first choice of motorcyclists who want to discover Ha Giang by motorbike. The path length is approximately 200 kilometers. Ma Pi Leng Pass is located in the Dong Van Geoparks which is recognized as the global geoparks. The road along the mountainside has romantic, stunning scenery that is ideal destination for riding motorbike. The Ma Pi Leng Pass is Vietnam’s final frontier. This scenic route winds its way through towering mountains in the far northern reaches of Vietnam. Out here, you will visit small ethnic villages, find almost vertical farms on the mountainside, and ride through some of Asia’s most stunning scenery. Ideally, pass Ma Pang Pass by motorbike. The potholed roads are steep and winding, often blanketed by thick fog which conceals unexpected roads works. Road barriers in many places are non-existent. A mistake leads to 500 meter plunge to the valley below. In some sections, the route is so remote in parts that even a minor breakdown means hours and hours of delay. To put this into perspective, it took us four hours to wheel a motorbike with a flat tire to the next farmer’s hut. Luckily there was a tire pump available. However, when the fog clears up you will be looking at some of the most amazing views in all of Asia. You will have the chance to meet people from a culture you will not find elsewhere and possibly never see again. So, why rush through the Ma Pi Leng Pass in the car when you can slow down and soak it all in?